The day Psalm 127:3 finally made sense to me. It is hard to believe that almost seven months have passed since that day. A day I will never forget. For most people February, 21, 2016 was probably a day much like any other. For me it was unusual as it was one of the very few Sundays when I did not attend church services. Waking up at almost nine o’clock on a Sunday-weird. But we were told to be at the hospital at eleven o’clock sharp to prepare for surgery which of course left attending services out of the question. You see, today was the day my baby boy, Josiah, would draw his first breath and be born via Caesarian section. To say that I am a stoic fellow would be laughable but I have always liked to think that I am a man of some composure. Certainly, there are always risks when your wife has a baby but I knew she was in the hands of good surgeons who would do their best to keep her and my little boy safe. Besides, it’s not like this was a path I had never been down before. My little girl Gabriella had been born almost a year prior and God had brought us through this process. There were complications but now Gabby was a happy, healthy, and inquisitive little one year old. In fact, these things were all in the back of my mind as I prepared to welcome my son Josiah into the world. While on the way to the hospital I found myself asking a multitude of questions. What if having your second child is simply not as exciting as when you had your first? Would this time be as special? Would I love this little boy as much as I loved my little girl? All these questions raced through my head and I truly wondered if I was up to the challenge of raising another little youngster. As a nurse helped me prepare for surgery I felt like I was about to star in a medical drama as I was bedecked in disposable scrubs complete with gloves, mask, and all the necessary accoutrements. With my lovely wife Allison already prepared for surgery I was ushered into the operating room and the doctors set about their work and in just about ten minutes I heard my son cry for the very first time! It was at this moment that all the veneer of bravado broke down. I was the father of a baby boy! His cries had brought me tears of joy and I could barely contain the feelings of happiness that welled up inside of me. When the nurses informed me he was nearly nine pounds and they joked that “we have a little football player” I could not help but feel a small sense of pride as I thought about my little boy’s future. In just a few minutes I held my little boy in my arms for the very first time. His little hands grasped my thumb as if to hold on for dear life. His every soft, moist breaths forced the hair on my arms to tingle just slightly. It was at this moment I realized that my son, even though I had known him only a few moments, already had a special place in my heart that no one could ever fill quite like he did. It was also at this time that I really began to grasp the truth of Psalm 127:3. This verse says “Children are a heritage from the LORD, offspring a reward from him. (NIV)” As a Christian I had always known the truth of this verse but I believe it was in that little hospital room, just Josiah and I, when I began to really experience this truth. Yes, children really are rewards. Precious, tiny, little gifts from God above. How Should Christians face discouragement? Discouragement is a universal human phenomenon. Christians are not excepted from this unhappy aspect of human experience. Discouragement is a very real and present danger in the life of the believer. Many different events in our life can lead us to despair- Death of a close friend or relative, prolonged sickness, multiple failed endeavors, or not being able to find stable employment. Sometimes just being a faithful witness for Christ in this sin sick world can lead us to depression. Any number of things that life throws at us can lead us to despair and allow us to slip into a lifestyle plagued by discouragement. When we get discouraged, and it is not a matter of if it is a matter of when, how should we deal with it? How should we face this age old problem in a fashion that honors Jesus Christ and is becoming of our Christian proclamation. In the following paragraphs I have listed a few things to remember if you are facing discouragement. 1st Kings 19 tells us that right after Elijah witnessed God’s power and glory on Mount Carmel (no not Mt. Caramel) that he fled to the wilderness due to the persecution wrought by the wicked Queen of Israel named Jezebel. Rather than being energized by the incredible victory, Elijah ran to the desert and fell into a deep depression. In fact, 1st Kings 19:4 tells us that Elijah begged God for death. If you are discouraged remember that you are in good company. Elijah was one of the greatest prophets of the Old Testament and even he succumbed to discouragement. The fact is, sometimes doing the right thing for God will make some people very unhappy and we will face persecution for our efforts. It is difficult to remain unaffected by such harsh rejection. Now, I am not saying that we should see our plight of discouragement as a badge of honor or develop a martyr complex but nor should you go to the opposite extreme and think that you are less of a Christian for sometimes getting discouraged. I also find it interesting that Elijah found himself discouraged immediately after he witnessed God sending down a pillar of fire in an incredible show of his might. For Elijah, this must have been and unforgettable and emotion filled experience. It is a simple fact of human psychology that after extremely joy filled moments in our life we can often experience a letdown. So when this does happen remember that this is normal. When you feel discouraged after a great spiritual victory I would recommend that you take the time to remember what God just did for you in this very special time. Do not be like the fickle children of Israel who often rejected God right after he did something kind for them. Sometimes you will have to make a conscious effort to remember God’s goodness but it will be well worth it! It is also helpful to remember that God is going to continue to do great things with you. Philippians 1:6 says this “being confident of this, that he who began a good work in you will carry it on to completion until the day of Christ Jesus.” (NIV). If you have been gloriously saved by Jesus Christ (And I hope that you have) and Jesus has not returned yet (Which he hasn’t) then you can be confident that God will continue to give you spiritual victories. In 1st Kings 19:5-8 we are shown, albeit indirectly, another beautiful truth about God. While in the wilderness and still in the throes of depression God does not forsake Elijah. Rather, he feeds and cares for him by way of Angels. As Christians, we can take comfort in the fact that God does not care for us only when we are faithful and bold, but even when we are broken. God’s love toward us is not conditioned upon our performance. Roman 5:8 echoes this thought in perfect harmony when it says “But God shows his love for us in that while we were still sinners, Christ died for us.” (ESV). If you are discouraged, reflect on this truth and be encouraged by the goodness and faithfulness of God. In 1st Kings 19:14 Elijah is quoted as saying “I have been very zealous for the Lord God of hosts; because the children of Israel have forsaken Your covenant, torn down Your altars, and killed Your prophets with the sword. I alone am left; and they seek to take my life.” Pretty much everything Elijah says in this statement was indeed true at the time with the exception of one phrase “I alone am left”. Sometimes when we are discouraged we blow things way out of proportion. Things were certainly bad in Israel in Elijah’s day but he had clearly lost perspective. For one, he was not alone because God the Father is still on his throne, Jesus is still Lord, and the Spirit is still at work. God has indeed promised us that he will “never leave us, nor forsake us.” For these reasons we should never fear being truly alone. We should also rejoice in the fact that God will always have a remnant of people on earth who will follow him. Consider the words of 1st Kings 19:18 “Yet I have reserved seven thousand in Israel, all whose knees have not bowed to Baal, and every mouth that has not kissed him.” God gently reminds Elijah that he is not the only person standing up for what is right and, by the way, modern Christian, neither are you. God in his grace has given us the Church-Not the building we worship in or hear the word of God preached but the people who make up the community of the redeemed. Dear Christian, when you are discouraged this is the time when you should lean on your fellow believers all the more. You should look to them for guidance, comfort, and care. All too many people when faced with struggles exit the church. This is the last thing you should do when you are discouraged. If you think that by leaving the church your problems will fade, then you are deceived. Cling to your fellow believers all the more. That is what God would have you do. As you can see, the word of God has not left us without an answer as to what we should do when we are discouraged. In the previous paragraphs we have only considered one chapter of the Bible and It speaks directly to our present struggles. If I could leave you with one final encouragement I would simply say that if you are discouraged you should take even more time out of your day to search the scriptures for wisdom and encouragement. God has given us the Bible so that we might be taught, encouraged, and reproved. Sometimes the words of the scriptures challenge and sting but they are always instructive-And they will always draw us closer to our Lord and Savior Jesus Christ who has promised us that all who follow him will indeed find rest. Beware of becoming a preacher. Preaching is addicting. No matter how much you preach you will never be satisfied. Preaching God’s word will energize you, particulary when you see people being saved! As I write this I am contemplating the joy of preaching at Calvary Baptist Church of Mcintyre, Georgia tomorrow and I could not be more excited and humbled to bring the message! If you are confident God is calling you to preach then start today! St Francis said “Preach Always, Use words when nessacary”. You can start fulfilling God’s call on your life right now. These days, technology gives you an instant audience. Think of how much nicer facebook would be with fresh insights into God’s word instead of the garbage that passes as thought provoking conversation on today’s blogoshpere. However, if you feel called to preach you must take this responsibility seriously. There is enough heresy in our world. Don’t become a part of the problem. Be a preacher who is part of the solution. While I am a young an inexperienced preacher, the following is a list of a few suggestions to anyone who is considering becoming a preacher. I have gleaned this knowledge from scripture as well as from Godly men in the ministry. Develop solid study habits- Many horrible and heretical sermons have been preached because young preachers have failed to study well. You may not be eloquent but you can be well studied. To be a good student does not mean you have to have a massive library or lots of commentaries. Many great resources are available online at sights like http://www.biblegateway.com. Also, listen to great and respected preachers of the faith. You will do well to listen to men like David Jeremiah, Billy Graham, Alistair Begg, and John Stott. You can also read fine sermons online by men like John Wesley, Charles Spurgeon, and the Church Fathers. Finally, immerse yourself in the scriptures and learn from Jesus Christ, the greatest preacher to ever live. Remember the admonition of 2 Timothy 2:15 “Study to show thyself approved unto God”. Don’t see preaching as an opportunity to spout your opinions- I have heard several fine preachers express their opinion on a subject from the pulpit before. Sometimes their insight was valuable. Often, it was not. Remember that it is your job to preach the truth of the scriptures. Your opinions on a matter should be offered only occasionally and when appropriate. They should always be offered humbly. Do not become so arrogant to think that because you are a preacher you are infallible. You are not. There is only one infallible preacher. His name is Jesus. Preach whenever and wherever you have the opportunity- My Father In Law is a pastor of a thriving church. He has preached to saints and crackheads in ditches. Everyone needs to hear the Gospel. Jesus made this clear in the Great Comission given in Mathew chapter 28. Use discernment, but there is nothing wrong with preaching at nursing homes, prisons, country churches that can’t pay you a dime, homeless shelters and wherever you are asked. God has blessed me as a preacher in some of the most unlikely of places. Rely on the power of God- Read the book of Acts. The Holy Spirit was constantly and continually empowering Peter and Paul in their preaching. If they needed the power of God in their life, you do too! The Holy Spirit will transform your preaching if you will let him. Seek to be ordained or liscensed by a respected church or denomination-There are many great preachers who are not ordained or liscensed by any church. You do not have to be liscensed or ordained to preach but it will only open doors for you. It is not about you- Be sure your preaching is always pointing people to the Gospel and glorifying God. If you do this God will honor your ministry and use you in ways you would have never imagined. Who would have thought that Peter, a man who denied the Lord publicly, would have become such a great preacher.? If God can use Peter he can use you so long as you realize you are not the focus. Christ must always be at the center of all you do. Let your motto always be Soli Deo Gloria! The book of Hebrews is one of the New Testament’s greatest theological legacies. Only Romans rivals this magnificent book in terms of its’ theological value. Even secular critics have called this book an absolute masterpiece. However, this book has much to say to the average Christian as well. Specifically, I want to focus on a particular passage in this grand book. This particular passage is Hebrews 2:9-13. In this passage we are given five important reasons why Jesus came to our world a little over two thousand years ago. At some point or another every reasonable person must ask themselves what they think of Jesus and his life’s work. Hebrews 2:9-13 answers these important questions so that we may know why our Savior came. Hebrews 2:9a states “But we see Jesus, who was made a little lower than the angels for the suffering of death”. This verse is simply packed with truth. We are told that Jesus was made a little lower than the angels. From this verse we can see why many theologians have called Jesus’ sojourn on this earth his “humiliation”. To understand the gravity of this truth we must remember that Jesus Christ is truly divine and Lord of all! For him to be made lower than the angels is remarkable. However, even more remarkable is the reason given in this passage for his coming. This verse makes it quite clear that Jesus came to suffer and die. We see this truth fulfilled in the accounts of the Gospels when Jesus was crucified under orders of Pontius Pilate. While some liberal theologians have balked at such a grim reason for Jesus to come we must never forget that Jesus’ death was necessary for the remission of sins. Sin is destructive and pervasive and only by the shedding of Jesus perfect blood could it possibly be defeated. Only through Christ suffering can we find any hope. And what suffering it must have been to face crucifixion and separation from the Father! Truly, we serve a Savior beyond compare! Hebrews 2:9 goes on to say this “crowned with glory and honor, that He by the grace of God should taste death for every man.” In this part of the verse we are given the second reason for Christ’s coming. Christ came because of God’s love and grace. Jesus Christ did not come because God saw great potential in humanity. Jesus Christ did not come because humanity had somehow earned his approval. In fact, Jesus Christ came into the world during a remarkably barbaric an unloving period. However, God still gave his beloved son to the world out of his spirit of grace and pure love. God’s love and grace are taught throughout the Old and New testaments. Who can forget the simple beauty of John 3:16 when it says “For God so loved the world that He gave His only begotten Son, that whosoever believeth in Him should not perish, but have everlasting life.” We should be thankful for God’s grace as it is the very essence of our salvation. That is why the word says “By grace ye have been saved”. Here we see the character of God strongly contrasted with the Islamic and Pagan understanding of the divine. In other religions God, or the gods, only intervene for the benefit of man when they are somehow pleased by someone or a group of people. The God of the Bible is unique in that he seeks to save man despite man’s rejection of him. What a wonderful God of grace we serve! The verse we just reviewed also states that Jesus Christ came to suffer and die for every man. This is the third reason listed in this passage for Christ’s first coming. While the first half of the verse mentions that Jesus came to suffer and die, this verse expands on this thought and says that Christ came to suffer death for every man. Here we see the love God has for every person. Despite man’s sinfulness, evil, and outright rejection of the things of God, God still cares deeply for every person. I also think there is another truth we can draw from this. Some theologians have argued that Jesus Christ only came to save certain people and some people are simply doomed to judgment. Jesus death is necessary for anyone to be saved because without the shedding of blood there is no remission of sins. Also, this verse makes it clear that Jesus came to die for every single person. We can also see from other verses that it is God’s desire that no one perish therefore God sent his son in the hope that all people would respond to the Gospel. We should be ever grateful that we serve a God who deeply loves each and every person and desperately desires that all come to repentance. Hebrews 2:10 says “For it became Him, for whom are all things, and by whom are all things, in bringing many sons unto glory, to make the Captain of their salvation perfect through sufferings.” Here we are taught the important doctrine that God is the creator and sustainer of all things. Here we are also told that God sent Jesus to this world to glorify him and show that he is truly the second Adam and the only perfect man. Here we are given the fourth reason for Christ’s coming as well as an unusual name for Jesus. Here he is called the “Captain of our Salvation”. This title reflects the fact that without Jesus we are totally and utterly lost. Just like every ship needs a captain. Salvation is only accomplished with the person of Jesus Christ. This verse also states that glory is brought to Jesus when people become believers. In this verse it says specifically Jesus is gloried by “bringing many sons to glory”. Here we hear of a theme that is reminiscent of Romans 9 in which God promises whoever he saves he will bring to glory in heaven. Hebrews 2:11-13 says “For both He that sanctifieth and they who are sanctified are all of One, for which cause He is not ashamed to call them brethren, saying, “I will declare Thy name unto My brethren; in the midst of the church will I sing praise unto thee. “And again, “I will put my trust in Him.” And again, “Behold I and the children whom God hath given me.” .Finally, we are told in multiple ways in this passage that the fifth reason for Jesus Christ’s first coming is to bring us into the family of God. This is important as man’s relationship to God is essentially broken. Sure, man can know there is a God by simply viewing nature or studying philosophy but without Jesus Christ man cannot know God intimately. 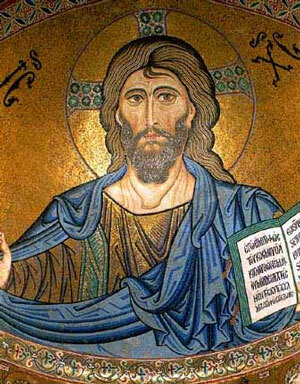 Here we are told that Jesus Christ and those who believe in him are one. In this passage, Jesus also calls the saved the children of God and is proud to be associated with them. As members of the family of God we enjoy many, many blessings. For one, we have a sweet fellowship with God through the Holy Spirit. We also enjoy the Fatherhood of God and his protection and love. Eternal life is also part of our blessed reward. Being a part of the family of God is truly and wonderful and beautiful thing. In Hebrews 2:9-13 we are shown five important reasons for Christ’s first coming to our world. One reason Christ came was because he had to die. Specifically, he came to defeat sin. He also came for the sake of sinful man. This passage also makes it clear that Jesus Christ came because God deeply loves every human being. In this passage, we are also introduced to the “Captain of our Salvation”, Jesus Christ. Without Jesus Christ our salvation is meaningless. Thankfully, Jesus Christ is the very center of our salvation. Finally, we are told that Christ came to bring people into the family of God with all of its’ benefits. There are other important reasons that we could mention why Jesus came. However, I think Hebrews two gives us some interesting reasons as to why Jesus came. By understanding why Jesus came we can more greatly appreciate the salvation we enjoy. We can also rejoice and thank Jesus Christ for the great things he hath done!